with stuffing capsicum with spicy potato and onion filling. This is one of those dishes that look like they take a lot of time and effort to make but in truth it is very easy to prepare and taste delicious. 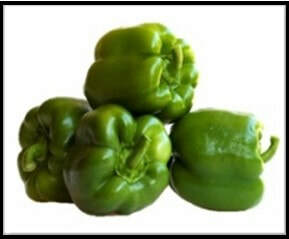 Bell peppers are beautiful bell shaped vegetable. They have glossy exterior they come in yellow, red and green color. 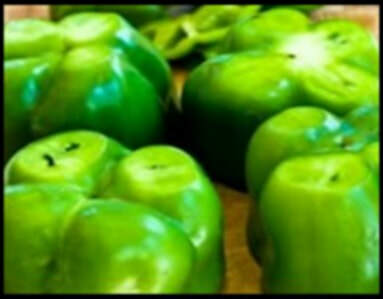 Generally for preparing the Stuffed capsicum dish, green capsicum is used. 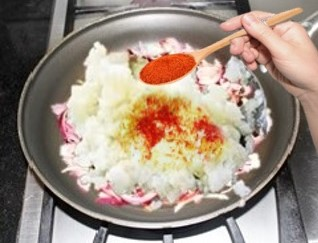 There are many variations both veg and non-veg to the stuffing masala. 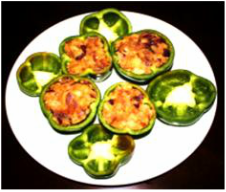 The stuffing used in making the stuffed capsicum enhances the flavors by giving a distinct taste of its own. 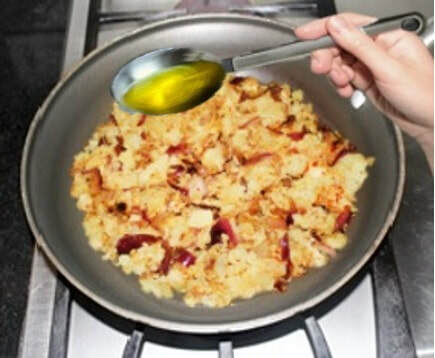 So cook and experiment with different kind of stuffing. 1. Wash and boil the potatoes. 3. Wash the peppers. 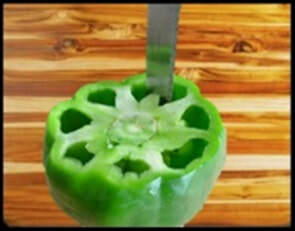 Take one pepper at a time and with a knife cut the stem. 5. 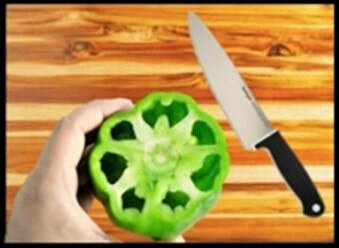 Run a knife around the Bell Pepper and cut its inner part. 6 . 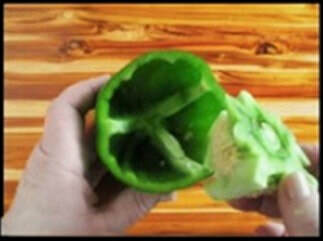 Remove all the white part and the seeds to make the Bell peppers hollow. 7. 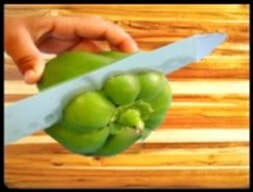 It is important that the Bell Peppers are able to balance upright on their own. 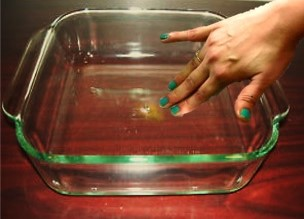 ​10 .Grease a baking dish. ​11. Grease your hand and rub them around the bell peppers. peppers on the stuffed peppers to secure the cap insert a tooth pick. 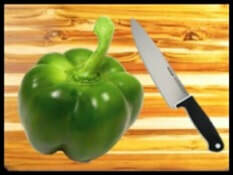 peppers with a fork or a knife to determine whether they are tender. 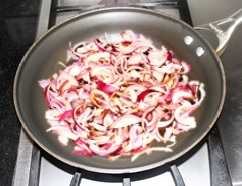 and place the dish back in the oven and bake it on the broil for few minutes. Turn the oven off and take the dish out from the oven. 2. 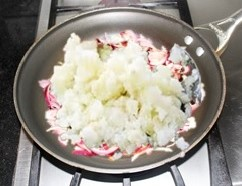 You could add onion slices on the top of potatoes before baking. 3. 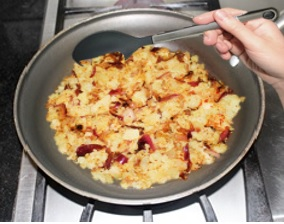 For variations add crumbled paneer with the potato stuffing. 4. Masala khema could be stuffed in the bell peppers. 5. 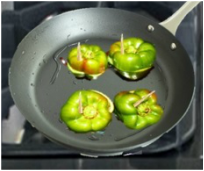 If you do not have oven then you can cook the peppers in the frying pan. * Flip the Capsicum every 1 min. 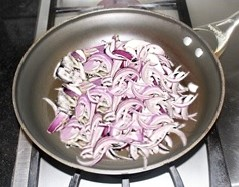 to avoid burning or extra cooking Capsicum. 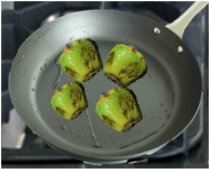 of the stove. Your Bharwa shimla Mirch is ready to serve.